Full Time. Nigeria 4-0 Kenya. The Super Falcons will face South Africa in the semi-final of AWCON 2016. 90′ 2 mins additional time to be played. Half Time! Good first half for the Nigerian side, they started really hot and cooled out towards the end. Lets see what the second half brings. 28′ Close! Asisat Oshoala’s shot goes inches wide. 20′ Yellow card for Ordega. 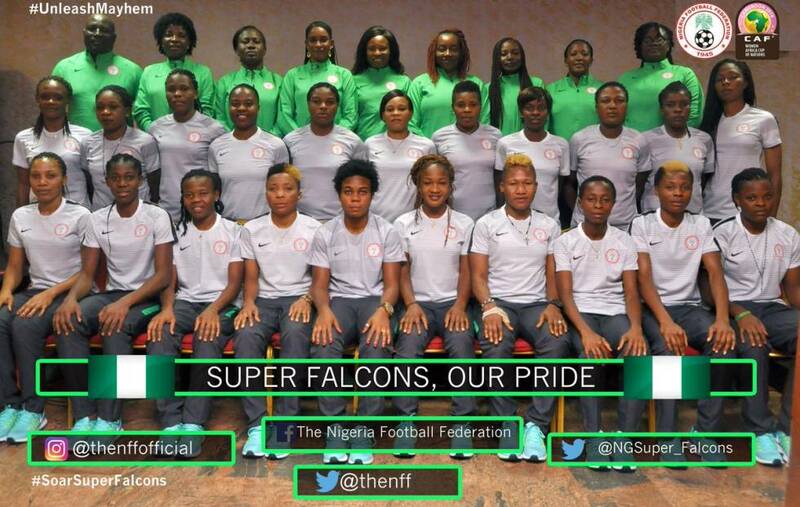 A first for the Super Falcons in the championship. With a place in the semi final of the 2016 Africa Women’s Nations Cup at stake, the Super Falcons will be gunning for maximum point against a Kenyan side that has nothing but pride to play for at the Stade Municipal de Limbe on Saturday. The nine-time African champions started the competition on an impressive note after hammering Mali 6-0 before being held 1-1 by the Black Queens of Ghana on Tuesday, to leave Nigeria top of the log with four points while Ghana also have four points after beating Kenya 3-1 in their opening match. A win for Nigeria against Kenya would help them avoid the hosts Cameroon in the semi final and face a potential banana pill against the Bayana of South Africa. With no serious injury worries in the team camp, the Super Falcons coach, Florence Omagbemi is expected to maintain the starting eleven that featured against the Black Queens, as tournament top scorer, Asisat Oshoala will spearhead the team’s attack alongside Francisca Ordega. Aftermath of the team’s 1-1 draw against Ghana, Omagbemi said she’s looking forward to picking maximum points against Kenya on Saturday.